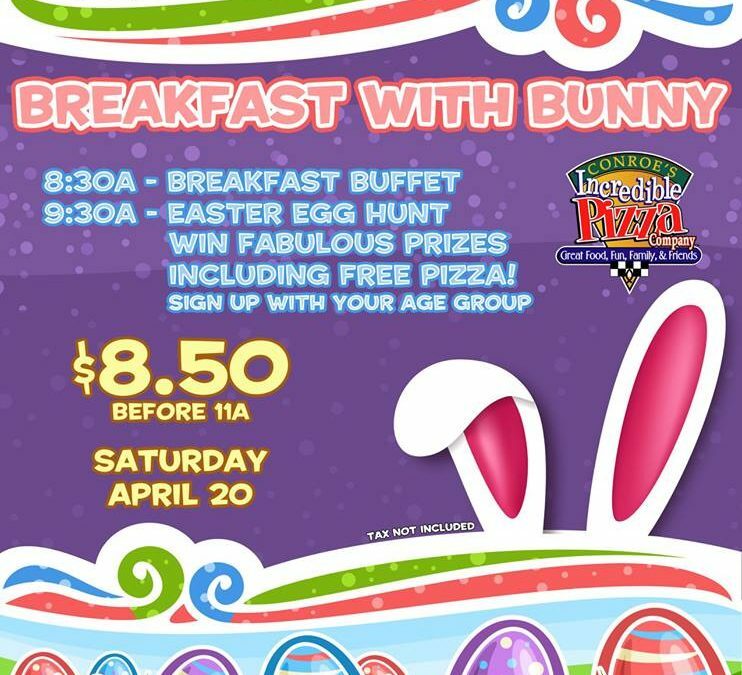 Easter Egg Hunt & Breakfast with Bunny - Incredible Pizza Company - Enjoy our huge all-you-can-eat buffet, indoor Go-Kart Races, Bumper Cars, Route 66 Mini Golf, a huge video game arcade with prizes, Bowling, and more! Guess who’s hoppin’ into town? It’s the Bunny! He’ll be at IPC on Sat., April 20, for Breakfast with the Bunny! The Incredible buffet begins at 8:30 a.m. and will be filled with breakfast goodies! 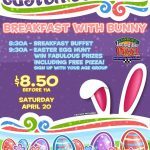 It’s just $8.50 per person plus tax until 11 a.m. And, the egg hunts begin at 9 a.m., with lots of fun, prizes and photo ops with the Bunny!